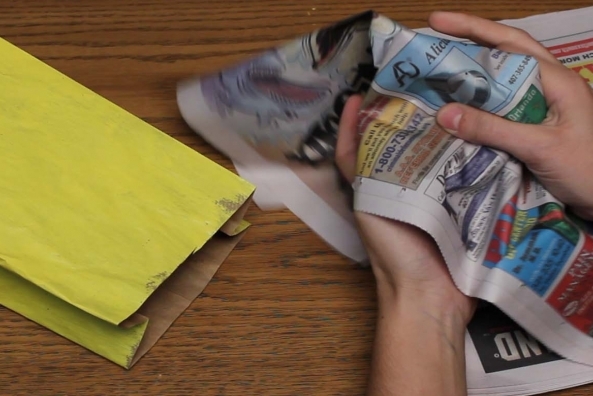 Stuff a paper bag with newspaper and call it a fish! 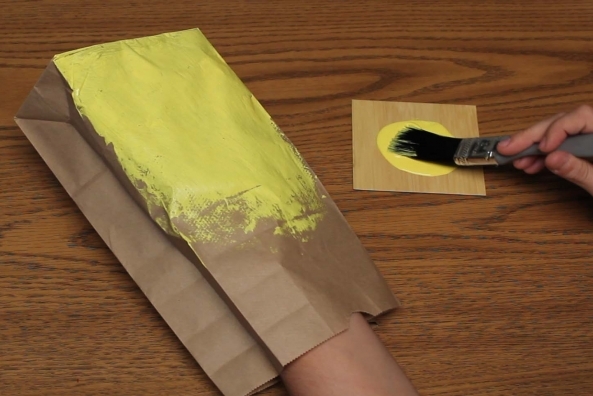 Let's add some paint detail, too. 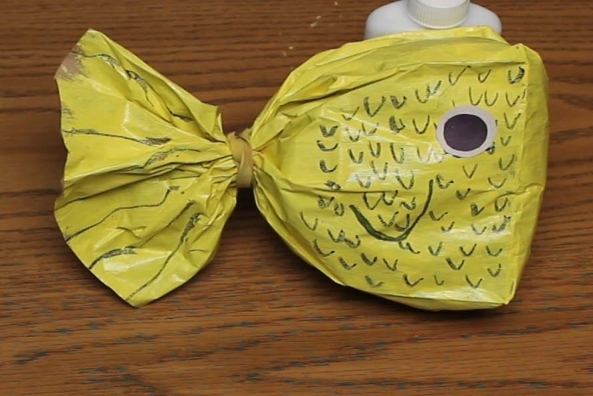 Have you ever been a pout-pout fish? 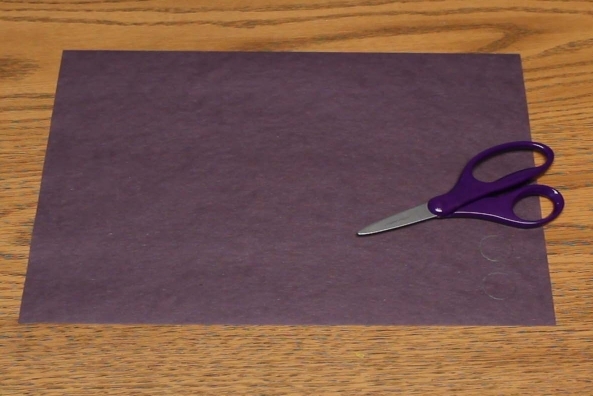 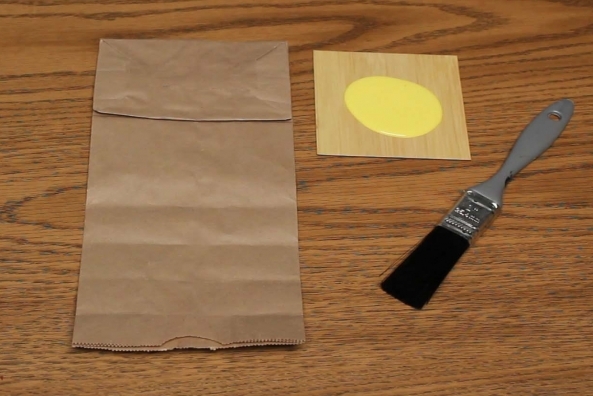 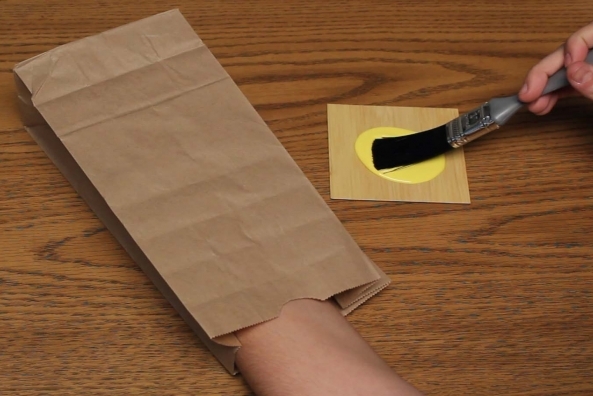 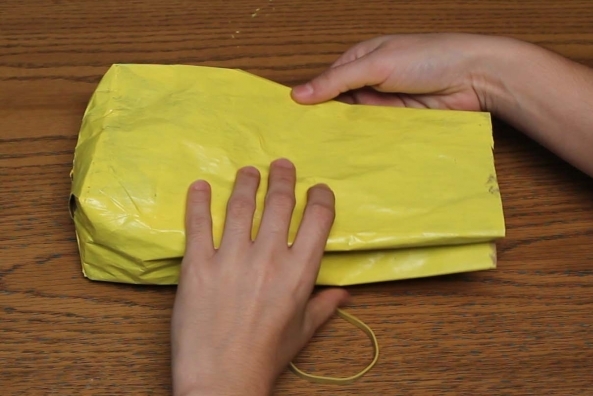 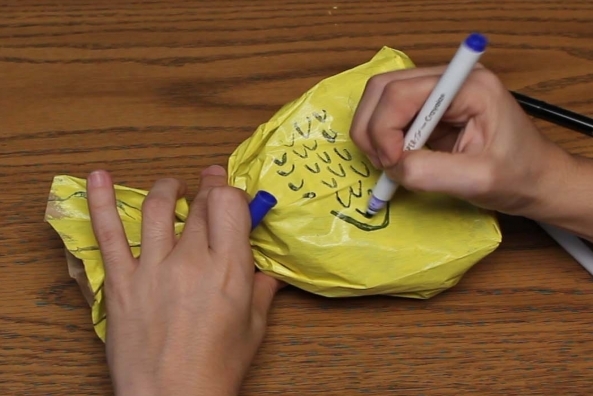 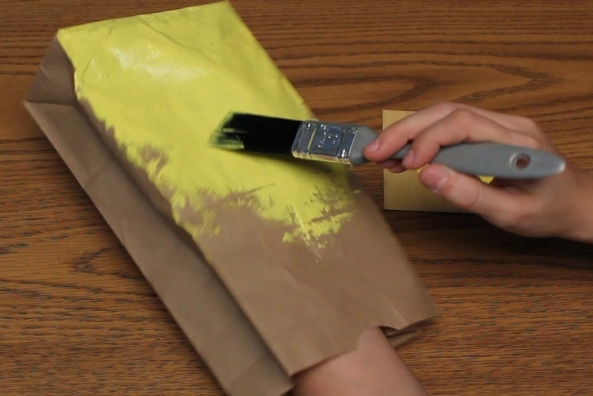 Paint a paper bag one color. 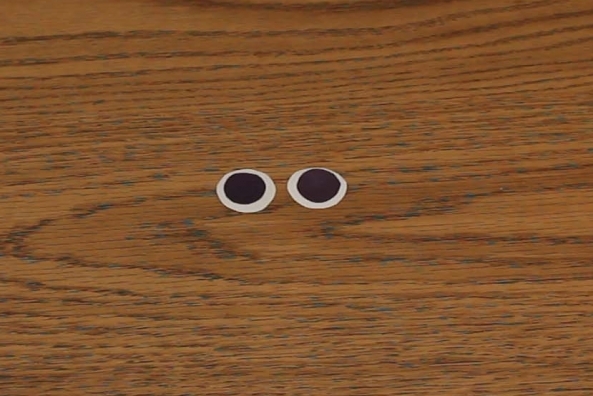 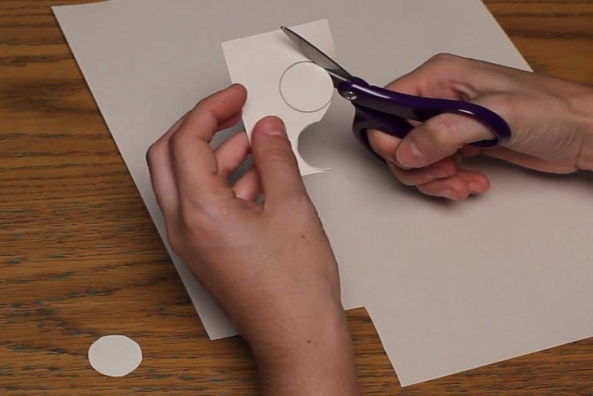 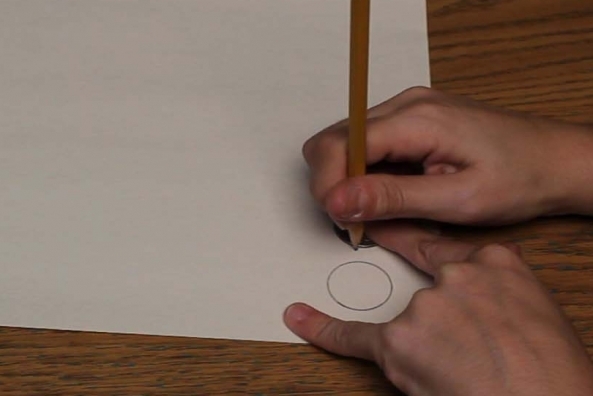 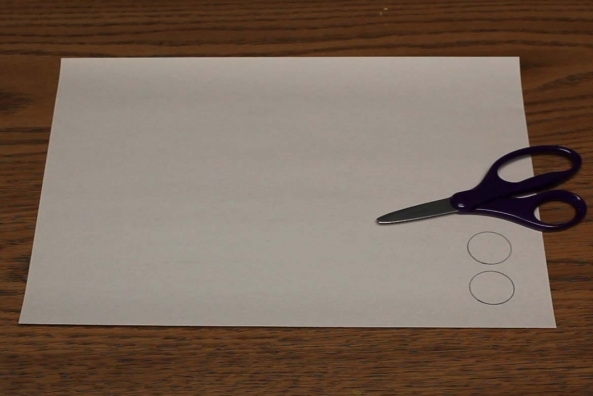 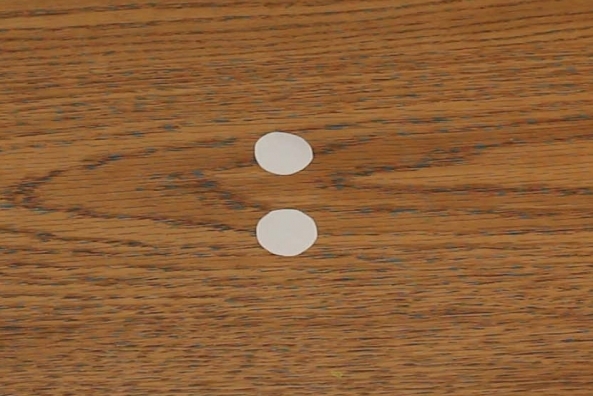 Trace a quarter two times onto a piece of white construction paper. 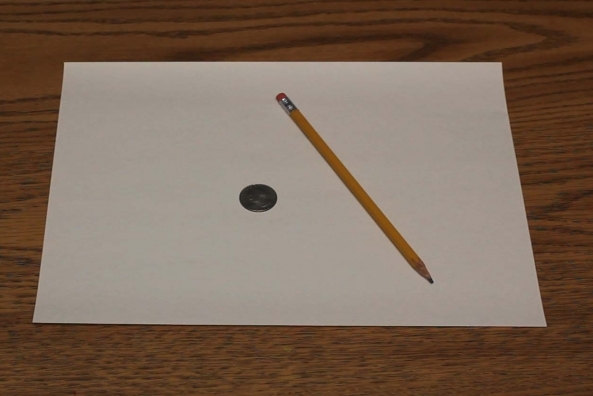 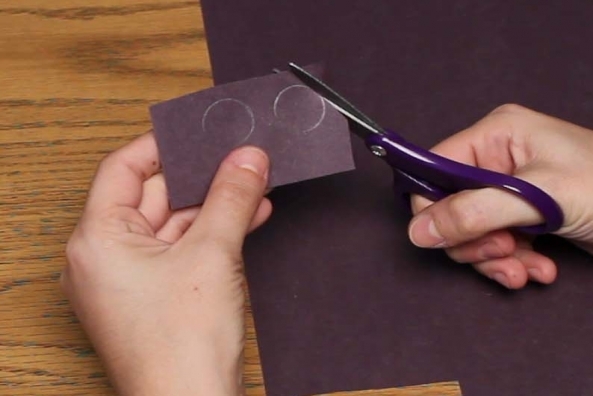 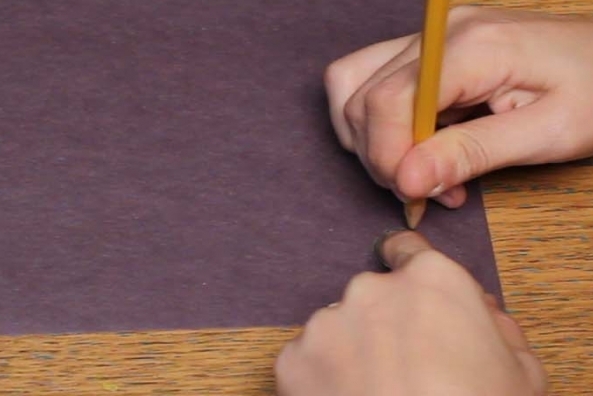 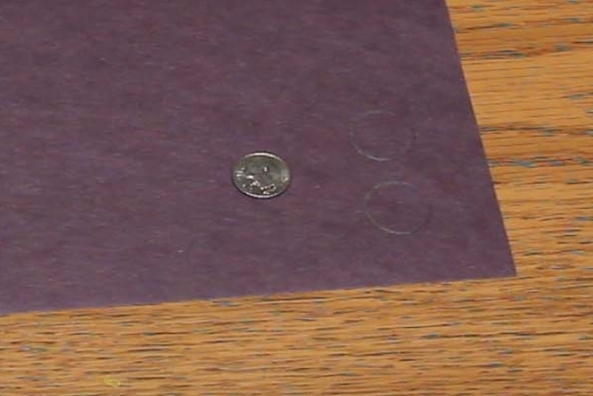 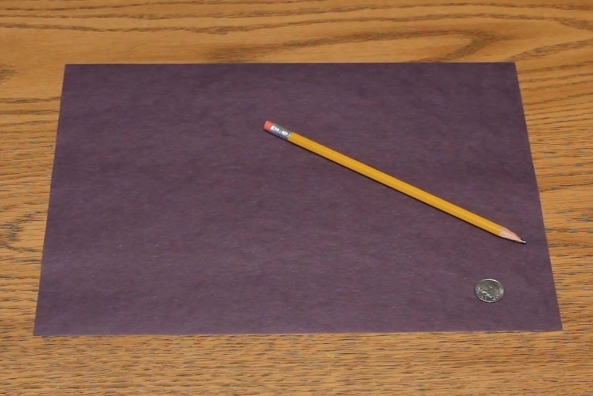 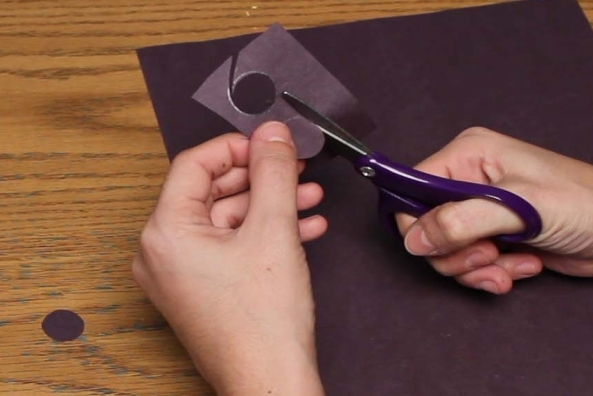 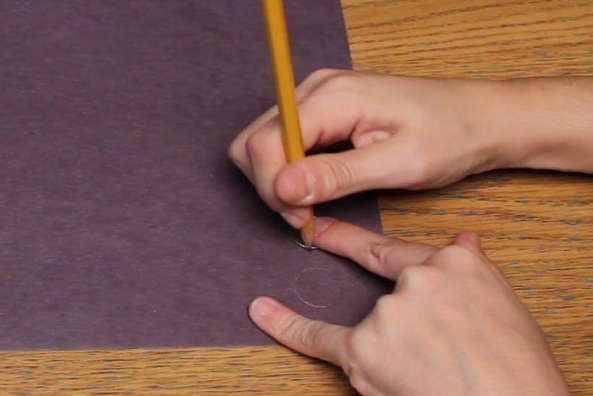 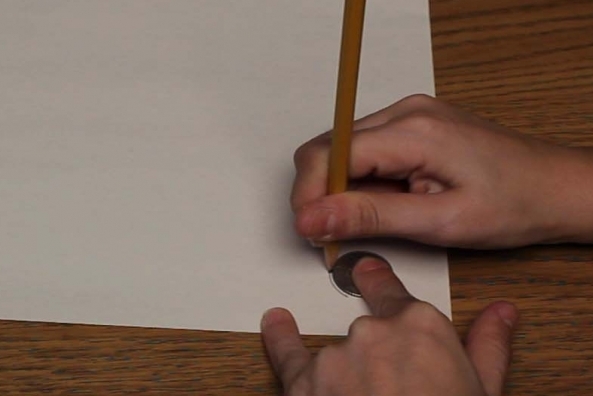 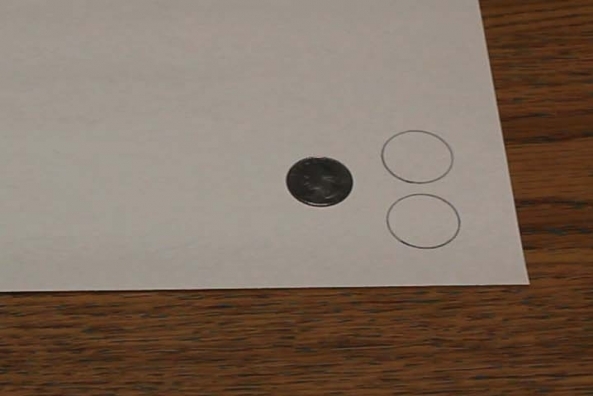 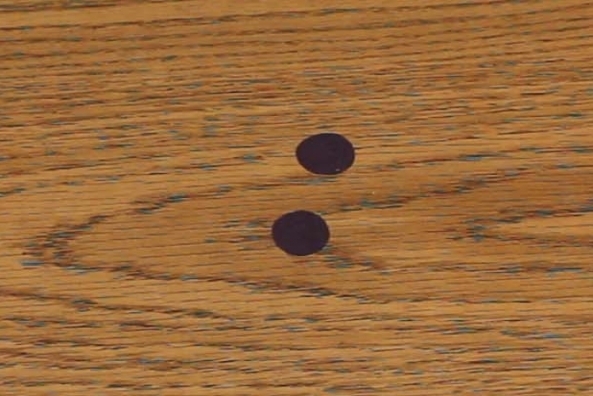 Trace a dime two times onto a piece of black construction paper. 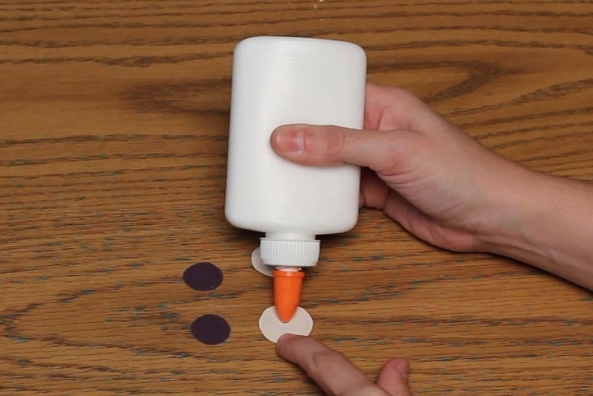 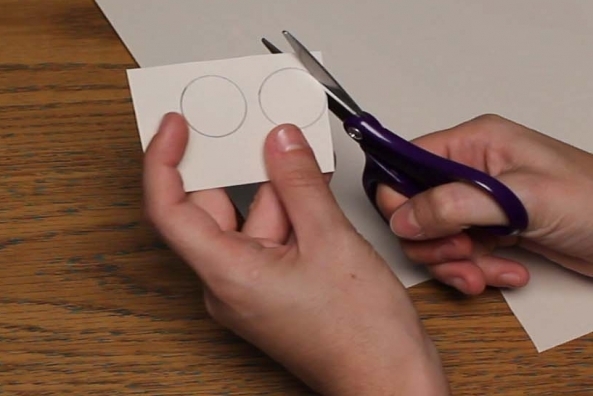 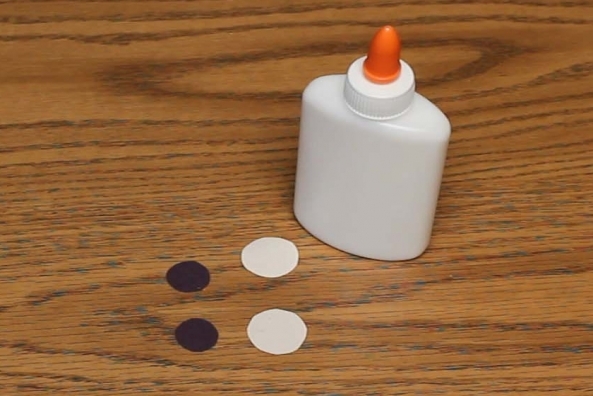 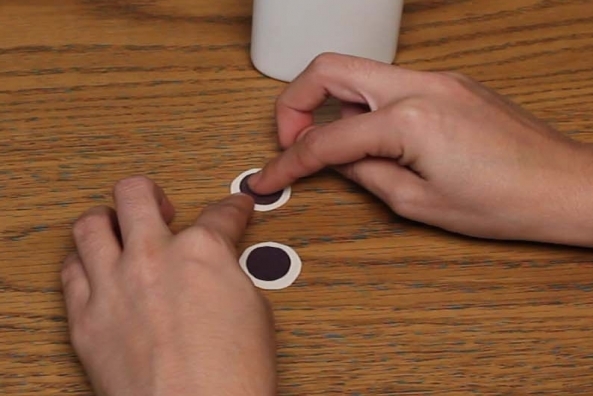 Glue the black circles onto the white circles. 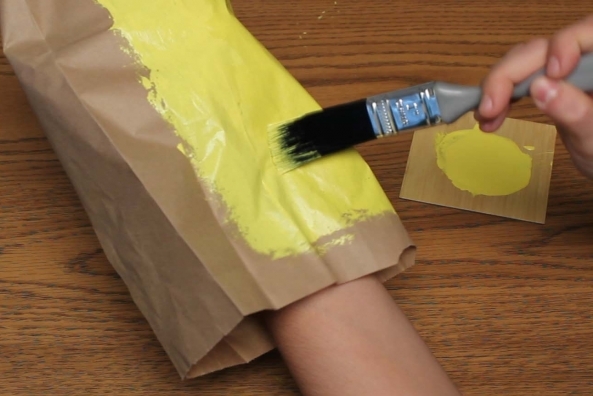 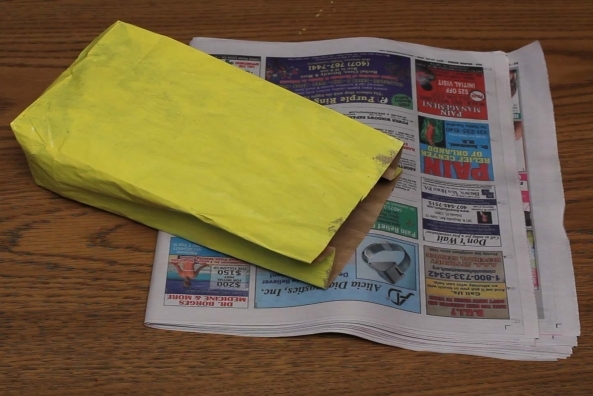 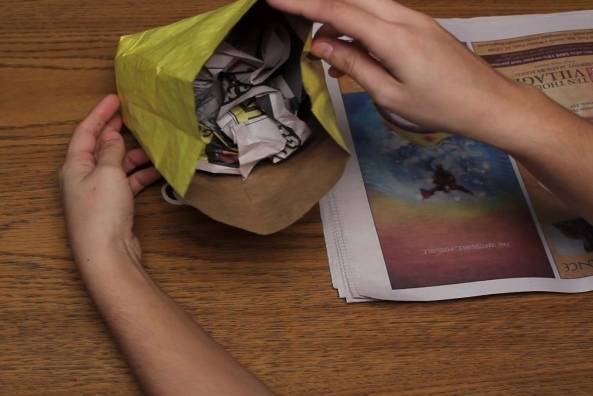 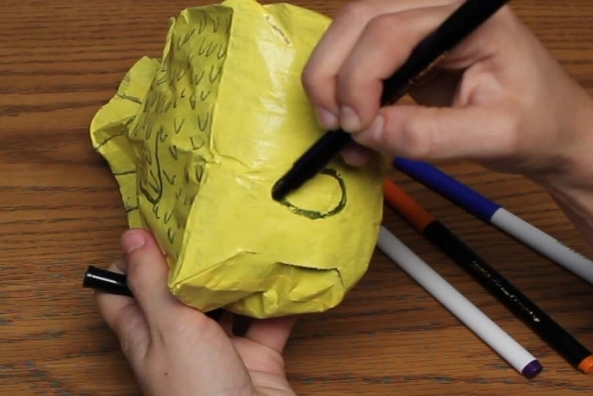 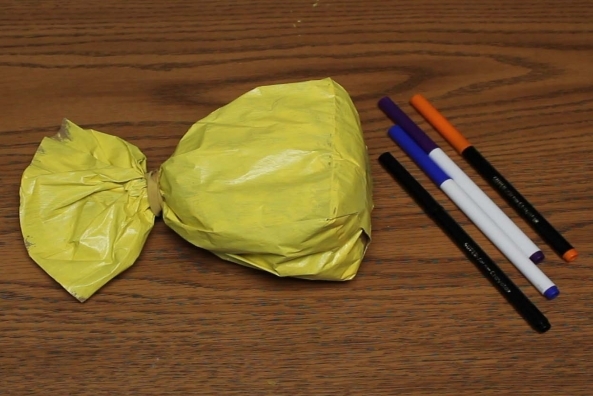 Stuff two or three pieces of balled-up newspaper into your painted paper bag. 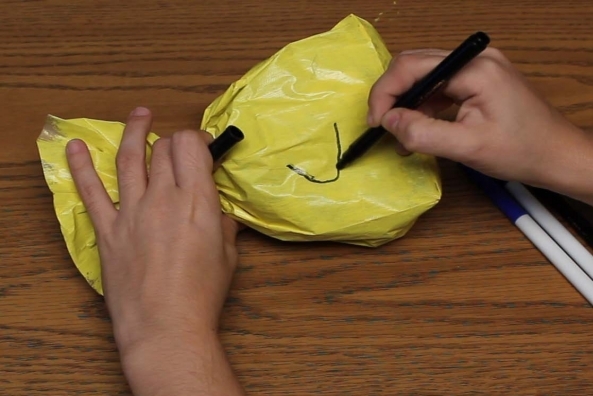 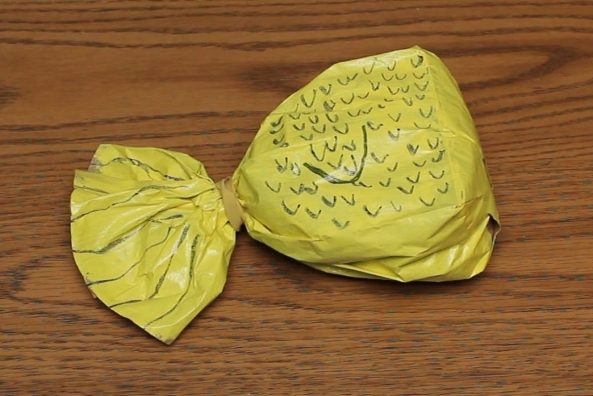 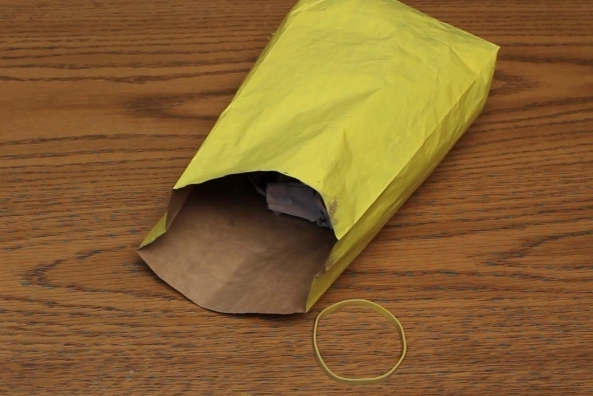 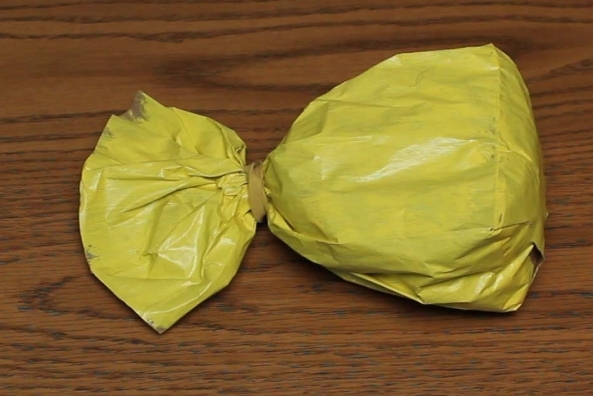 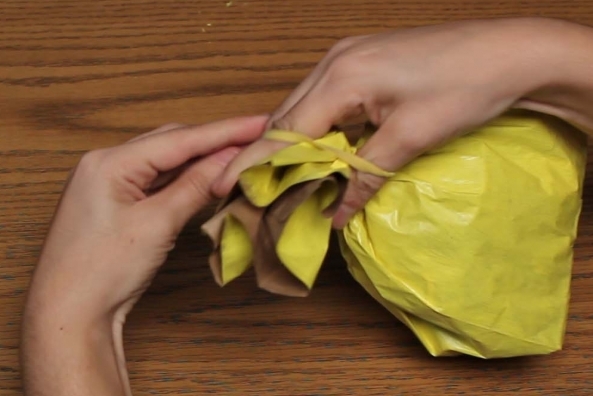 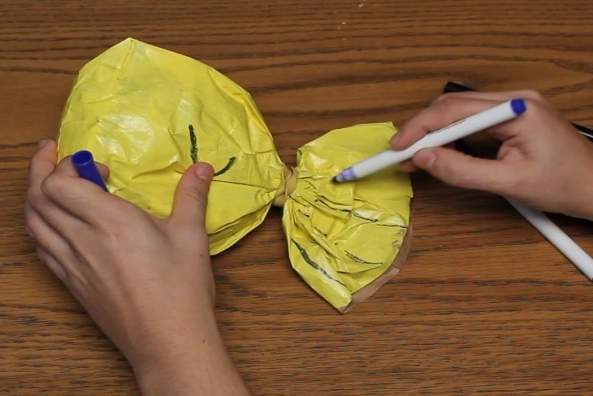 Wrap a rubber band to close the bag. 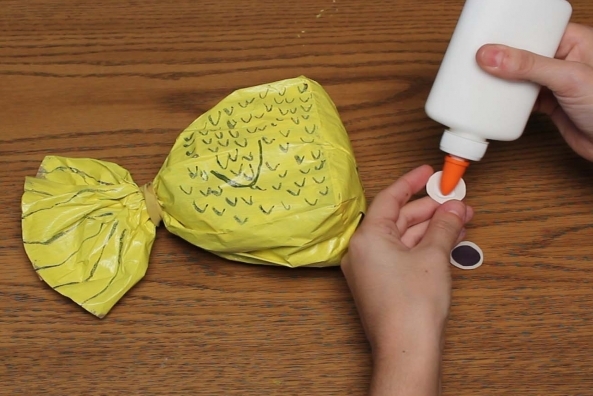 Add detail to you fish using paint. 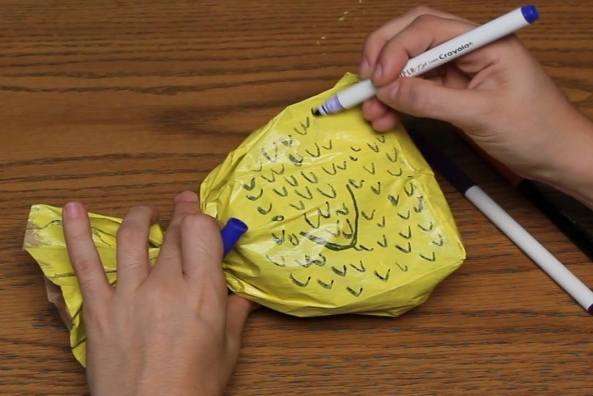 Draw scales, fins or add designs! 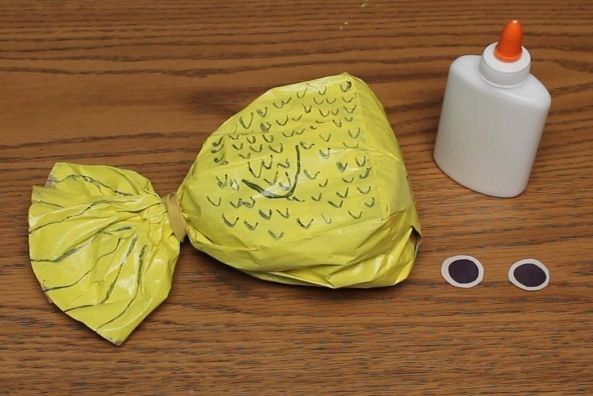 Glue an eye on either side of the bag.